Caring for your snorkelling snorkel or diving snorkel is important. The fact that your snorkel goes in your mouth is also an important reason for proper care and maintenance. Even if your snorkel is new, it is always a good idea for you to wash it in warm soapy water followed by a good rinse in fresh water. Pouring some germ killing mouthwash into the barrel or the mouthpiece for good measure, even if the package came sealed in a bag, is also a good idea. If you have a semi-dry or dry style snorkel with a purge valve you will need to pour the mouthwash into the mouthpiece while blocking the purge valve. Failure to do this will have you running for a towel because the liquid will pour out of the purge valve. If you have a plain non-purge "J" style, block the mouthpiece and pour the mouthwash into the barrel. Filling a plastic drinking glass up and dipping the snorkel into the liquid might be a better option. Be sure to thoroughly rinse the snorkel in warm fresh water following this procedure. Check the mouthpiece bite tabs as some people have a tendency to gnaw on these while using the snorkel. 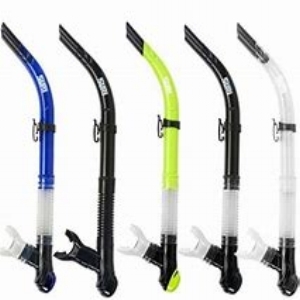 Many of the higher end snorkel designs have replaceable mouthpieces, whereas the lower end snorkel models typically do not. In the case of the latter, a new snorkel would have to be purchased just because of a worn mouthpiece. If you have a flexible tube style snorkel (the lower third of the tube is corrugated externally), inspect the corrugation for any signs of wear. Check the snorkel keeper for any signs of wear and the purge valve to make sure it has not warped. It is a good idea to pack your snorkel in your carry-on luggage. This is in case your checked in luggage is delayed for any reason. Sure there is the option of renting a snorkel if this should happen, but remember that this is the piece that goes into your mouth and you are the one that cleaned and maintained it. It is very difficult to know about whose mouth a rental snorkel has been in, let alone if it was properly cleaned when you got it. If the snorkel style you have has a 2-piece release snorkel keeper, make sure that you have both pieces before packing. If you have the neoprene style, make sure that there are no rips or tears. Most people pack the snorkel attached to the mask. This is acceptable but doing so may add some stress to the snorkel keeper especially if it is the one piece plastic style. Connect your snorkel to your mask making sure that it is placed on the left side of the mask as if you were wearing it. If you have a "J" style snorkel with a purge valve, cup your hand over the top of the barrel and try inhaling. You should not have any air coming in. If you do, then check the purge valve for any cracks, warping or sediment (sand, dirt, hair) that might be causing the valve not to seal. If you have the dry style snorkel, inhale through it with the top of the snorkel pointed at the ground. If any leakage is found on the inhale, check the bottom purge valve as stated previously but also check to make sure that the dry top mechanism moves freely. If you are planning to go out in the water a few times a day, please follow these two simple directions. 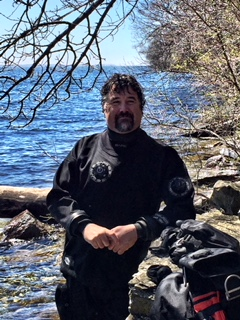 When you get out of the water, rinse your snorkel immediately to get as much of the salt off before it forms crystals. Keep your snorkel out of direct sunlight and repeat step 1 for multiple adventures in a day. Prior to storage, you want to make sure that your snorkel is clean both inside and out. Using warm soapy water, let the snorkel soak a good amount of time to help loosen any dirt or salt water build up. Using a soft bristled toothbrush, clean as much of it off as you can. If you have access to a small flexible bottle brush, clean the inside or the snorkel tube as far as you can go and then rinse thoroughly in fresh tap water. It is a good idea to store your snorkel in a cool dry place which is out of direct sunlight. Do not store your snorkel in contact with any rubber goods or ferrous metal objects as this can lead to premature discoloration. Storing your snorkel in an airtight container is also a good idea.